I’m going to start this “review” off with a little bit of honesty. Back when Chickenfoot released their debut album I had heard a few songs off of it and was actually not really captivated by it, so I never pursued it past that and at that point I wasn’t writing for a guitar site so I thought “oh well.” Now I do write for a guitar site and in my hand is the new Chickenfoot album cleverly titled Chickenfoot III. 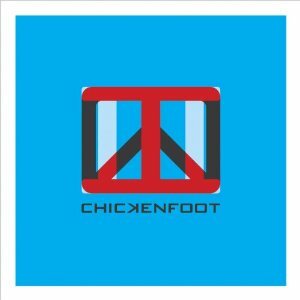 Probably my immediate thought when I listened to Chickenfoot III was “it’s rock.” And that’s pretty much the stupidest, most self-explanatory way I could start this off, but it’s true. Each song is filled with good guitar grooves and solos, solid bass and drum performances, and Sammy Hagar giving us an exponential dose of yeahs, alrights, babies, and woos in between lyrics (except for a number of times where those are the lyrics). *Fun fact: I rewrote that paragraph about ten times because each time I thought it was unfairly abrasive each time. Anyway, enough goofing around. The album kicks off with “Last Temptation” and by all means it’s a good rock song, but I’m inclined to say the majority of the rest of the album follows suit a bit closely. From that point on the album is followed with 4 to 5 minute songs with identical structures. Some songs like “Up Next” or “Bigfoot” rock a bit harder and hit a bit heavier, then you get songs like “Come Closer” or “Different Devil” which back it off a bit more. I want to single out an untitled bonus track 11 as my favorites because I found them more unique and experimental, so brownie points there. The good thing is that even if you’re just listening to it for background music when one song stops and another starts you can tell. Anyone that’s ever listened to a song and thought to themselves “man, this first song is freaking long” only to look in horror as you realize you’re on track 6 can understand the subtle importance of that. This is the part of the Chickenfoot III tangent where I sit and pass judgment upon the performers. Honestly I don’t think I can say anything here without being redundant on top of anything that’s been overstated in any forum on the internet. It’s a supergroup with Joe Satriani, Sammy Hagar, Chad Smith, and Mike Anthony. They’re not the new kids on the block. They’re guys that made it where they are by being some of the best out there and you can tell they’re giving everyone their best here. While that’s kind of an enough said type thing I’m going to single Satriani out for a moment. 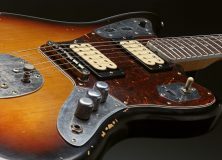 We’re a guitar site. Why not? His guitars are great. While he isn’t as overly experimental here as he is in his solo projects he still introduces a lot of unique flares that give a lot of spirit to the album, but if you’re like me you’ll have a hard time wondering what the album would sound like with more Joe in place of Sammy Hagar. His solos are still there and they sound good, though, so there’s that. The case is also worth bringing up. It gets a mega A+ for originality. The album comes with a pair of those red/blue 3D glasses (or as the glasses are labeled “Optical Enhancers”. Why’s that? Because all of the album artwork is in 3D. In place of a book full of lyrics you get four cards with pictures of each member of the band, and some goofy FAQ type stuff on the back. Yeah, I bought the version with a bonus DVD. As the label called it a 35 minute making of, but I don’t find that to be entirely accurate. Some of the footage was circulating Youtube to promote the album before it was released. At that point it’s kinda like buying a box of cereal and the toy prize inside is a DVD with the commercials you watched enticing you to buy the box of Captain Crunch in the first place. Additionally I think a lot of bands miss a great opportunity with making of DVDs. Most DVDs end up being shots of the band goofing around mixed in with small interviews where the band talks about how great the album is. At this point I’m no longer singling out Chickenfoot, but rather I’m covering anyone that releases a bonus DVD. Most people will hear the album before they watch the DVD of the members speaking highly of the music they’ve composed so that seems a bit silly to me. 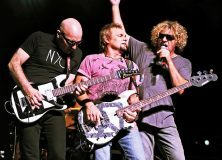 Overall the Chickenfoot III isn’t a multi-genre extravaganza, nor is it a big display of experimental pretension, but rather a group of guys that just want to rock. And for that it excels greatly. Even though I’ve expressed my personal disinterest in it, I would more than willingly recommend it to anyone because I’m willing to bet that I’m in the minority on this one. I’d just say get the CD only version.